Stephen Dutch Photography: Happy Feet! 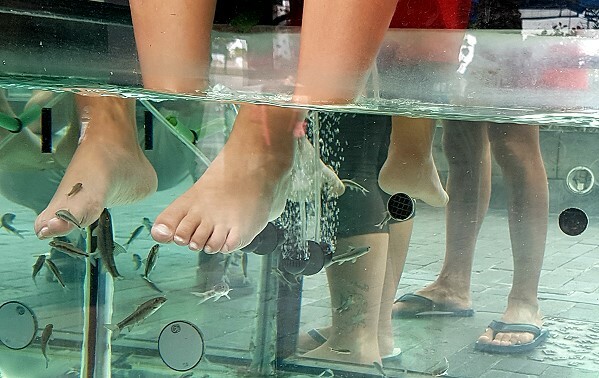 This was a grab shot with my smartphone, I saw the fish nibbling the feet in a fish-tank through a shop window, it was only afterwards that I noticed the other foot reflections, this is the kind of quirky shot I like! Puerto de la Cruz, Tenerife, Canary Islands, Spain.